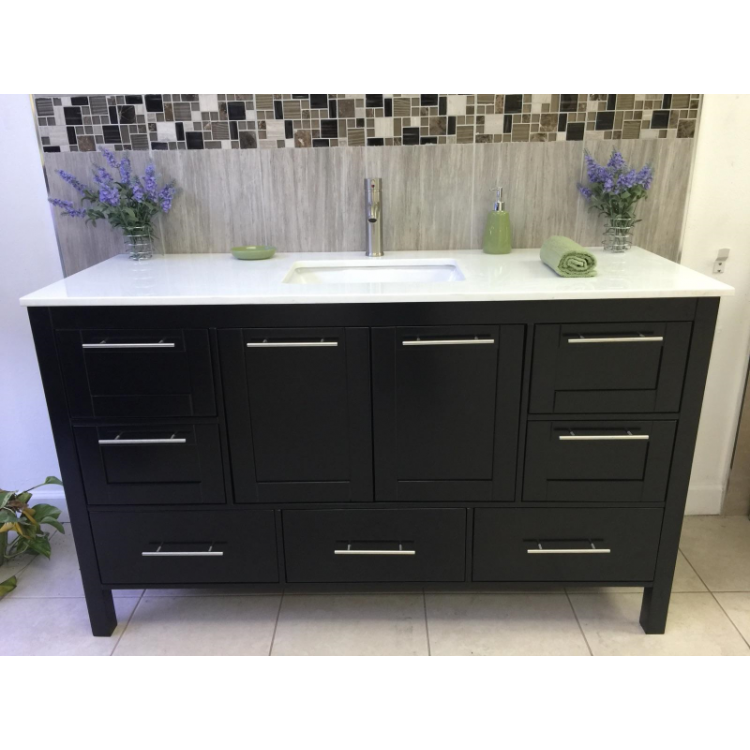 Positano 60" Single Espresso w/white quartz top, solid doors. 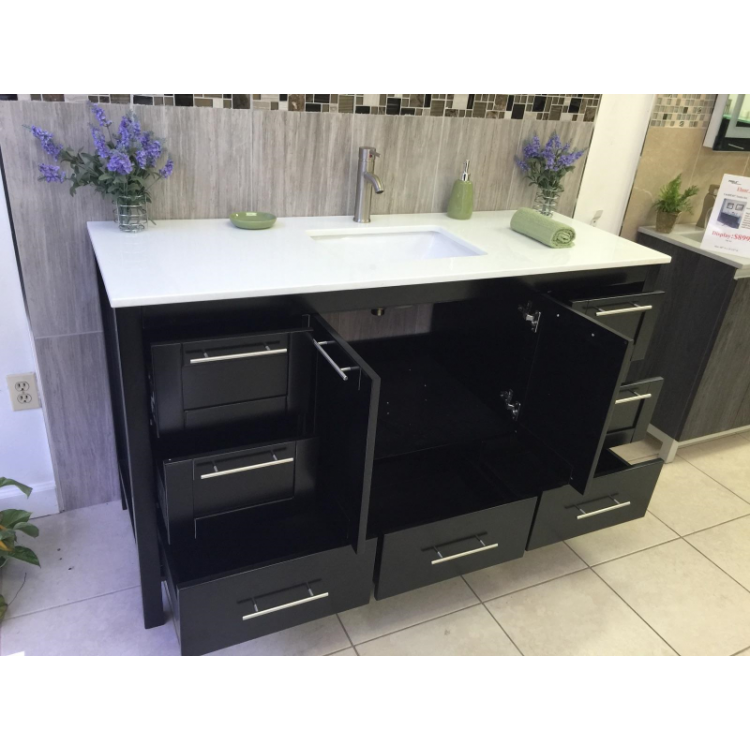 Includes soft close slam guards, matching mirror with glass shelf, brushed nickel or chrome faucet. Mirror is 48"